Whether fishing offshore, inshore or from a kayak, the Outer Banks of North Carolina is home to some of the finest salt water fishing in the world. Inshore charters offer the chance to catch Bluefish, Spanish Mackeral, Flounder, Dogfish sharks and various small bottomfish. Cobia and Red Drum are caught during the spring and fall. If you're looking to catch trophy sized marlin, sailfish, mahi-mahi, wahoo or tuna, the full-day off-shore experience is the fishing trip for you. Ever fished from a Kayak? Try a Hobie Kayak with a Mirage Pedal Drive system to get you on some flounder, speckled trout, puppy drum or even striper in season! Don't miss out on the fun or the fish! We have trips that can accommodate both small and large groups. Hobie Kayaks revolutionized the kayaking and fishing industries with the incredible MirageDrive pedal propulsion system, which enables you to navigate your kayak hands free. 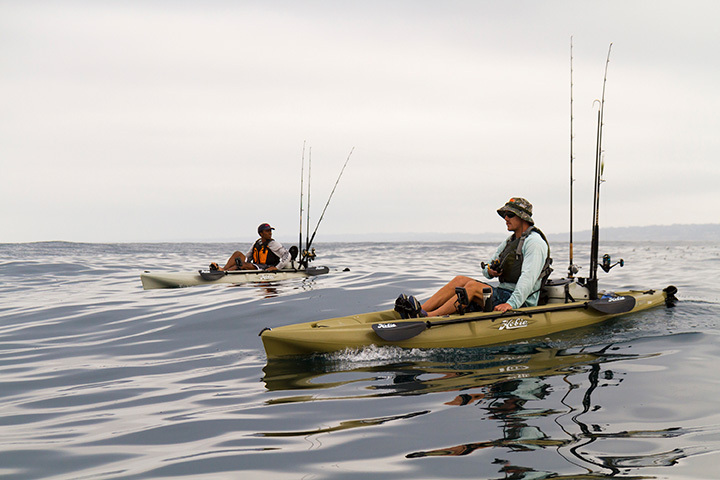 Hands free kayaking + a fishing rod makes the Hobie Angler Kayaks the perfect vessel for a Kayak Fishing Experience, particularly in the shallow soundside waterways of the Outer Banks. Your guide will take you and up to 3 others on a fully equipped 4 - 4.5 hour charter to the locations off the beaten path so that you can get better access to fish, that you would otherwise not know how to find. With over 20 years of experience, the expertise of the captains that we book for is off the charts - their system perfected. 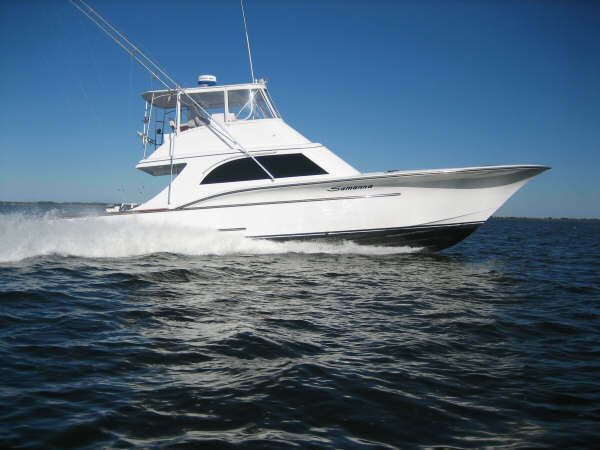 Phideaux and Douhouse Fishing offer each offer full and half-day offshore and inshore charters, as well as bottom fishing trips and sunset fishing cruises. Phideaux accommodates up to 6 passengers and Doghouse up to 24.